We are proud to bring you the story of Drs. 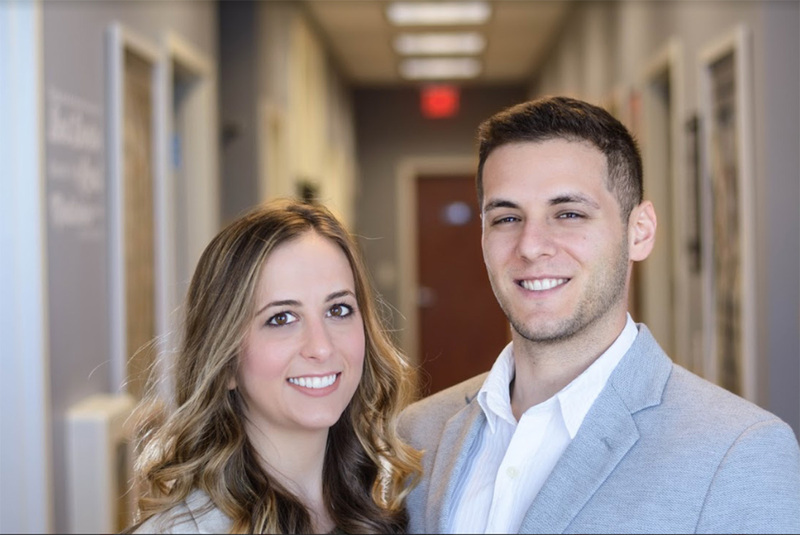 Evan and Callan Lichtenauer of “Empower Chiropractic”, located in Fairfax, Virginia! All of us in the AMPED community wish them the best of luck. Q. What are your roles at the practice? A. Both of us are chiropractors. We split certain roles such as Dr. Evan does the Doctor’s Report and most financials, while Dr. Callan handles Day Ones, office organization, and team training. Q. How long have you been open? Q. How many patients do you see per week? Q. What is your focus or specialty? A. We use TRT and have been stressing the importance of care for the entire family while networking and marketing in our community. Q. What would you like to tell us about your practice adventure? A. We have been AMPED members since our early quarters at Life University. We found every opportunity to travel around, serving other offices and screening as much as we possibly could. We always knew what we were doing every weekend, even for the following quarters, and packed our schedules to get as much experience as we could while we were in school and to build the endurance needed for jumpstarting. Since Callan was graduating a quarter after Evan, Evan was able to spend an extra quarter at Discover Chiropractic with Drs. Jeremy and Amanda Hess. Evan graduated in March 2018, followed by our Wedding in May 2018 and then followed by Callan’s graduation in June 2018. The next day, we moved to our new home in Virginia and allowed ourselves 4 days of unpacking before setting off on our honeymoon/end of school celebration/break before opening our practice. Since July, we have joined two local chambers, two BNI’s and have been screening since the very first weekend in August. We have gotten into as many local events as we could, and found a way to make our presence in the community known. We were slightly delayed with our landlords and signing our lease, but despite that we found an amazing contractor who has helped us stay on track. We had our Ribbon Cutting October 26 and officially opened on October 29, 2018. During our 90-Day Marketing Plan we completed over 30 screenings, attend all networking events in our chambers and BNIs, and completed 20 health talks in our community. Q. Where can we find out more about you? Q. How has AMPED helped you? A. Without AMPED we wouldn’t be anywhere near where we are today. AMPED has shown us the way to success since very early on in school. AMPED teaches you everything – from picking a location to signing the lease, and from how to screen to implementing effective office systems and procedures. We completed Jumpstart with a year and a half to go in school, and have rewatched as much as needed in this process. While networking in our community, we are constantly asked how we know so much about business and marketing. People always ask if we are a part of a franchise, and are shocked to learn that not only are we out on our own, but that we are doing this straight out of school. Our first two weeks were chaotic (yet incredibly fun) to say the least, and AMPED set us up for success from day one in our practice. We are so grateful for all of our mentors and the leaders of AMPED, for always being there for our questions and guiding us through this process. Confidence is built through preparation and there is no preparation like immersing yourself in AMPED. Q. Do you have advice for fellow AMPED members? A. Our advice to new members or students would be to dive in 100%. Screen as much as you can, give heath talks in school, go to every conference, and continue pushing yourself outside of your comfort zone. Through the Jumpstart process, we have been reflecting and asking ourselves if we are pushing ourselves too hard because it is tiring and we are exhausted, but that is exactly the way we want it to feel. We want it to be hard and we want to feel tired because means that we are creating something great in our community and we are excited to impact the lives of thousands. Build a strong relationship with doctors ahead of you in the process, that have created the atmosphere in practice you want to create and have reached the goals that you are striving for. We wouldn’t be here without Drs. Dan and Megan McClimon, Dr Dan and Elise Wallis, and the Hess’s. They have been there for us, supporting us since the beginning and they have all built the dream practices that we are hoping to emulate. Find your accountability partners and friends, that are not afraid to push you when needed, but are also there for you when you really just need support. Q. What would you say to anyone considering joining AMPED? A. We are a big community built on long lasting relationships. AMPED teaches you everything that you need to know, the only thing missing link is your hard work and your effort. If you put in the work, AMPED guarantees success. Don’t be afraid to reach out to other doctors and students in the program, everyone is here to help you succeed and want nothing but the best for you. Get the latest news and offers delivered to your inbox.